I normally do not write back to back blogs, but if you read my last post you learned that I have a major concern with how much information our children are being exposed to in today’s society. The moment my 1st graders began talking about the incident in Boston I felt a chill run up my spine because I just firmly believe that childhood is a precious time period that is dwindling before our very eyes. I began surveying colleagues and other parents in the building to see how many of them had talked to their young children about the event or allowed them to watch the news. I was astounded when I heard that many of them not only talked to them but also allowed the kids to watch the news or were watching the news while the children were in the room or had an ear shot. On January 3, 1983, I was laying in my bed, in my red feetie pajama’s having a hard time falling asleep. As I laid there tossing and turning the phone rang in the dead of the night. I heard my mom answer the phone, gasp, and then respond, “No, no, that can’t be right. How can that be?” I sat up in my bed to get a better listen and then I heard my mom crying and my dad trying to comfort her. My eldest sister came in and was totally devastated. I walked out of my bedroom and asked what was going on as my family began to come together. I was told to go back to bed, but I couldn’t because I was so concerned. My sister then told me that my cousin died and we would talk about it in the morning. My cousin was a 27 year old attorney who was senselessly killed in the office of the firm where he worked. My family didn’t really talk directly to me about it in the morning-as promised, instead I heard the news and the conversations among family and friends. My mom had pulled her back and was ‘laid up’ in bed so I would go and lay with her while she watched the news. At the age of 10 I was still innocent, vulnerable and totally energetically sensitive (as most children are). As the news reporters would announce new findings and talk about how my cousin was blind folded, tied to his chair and shot in the head several times, I felt chills run down my spine and got an immediate visual which made me cringe at the thought of this wonderful man who I adored exiting life in this terrible way. My mom would tell me to leave the room as they revealed details, but I still heard the news in the background. Perhaps that’s why I never watch the news. I find the news to be negative and down right depressing. My son is not exposed to the news or talk of the negative-fear based society we live in. I choose not to expose him to that because I am trying to preserve his childhood. Quite frankly, I think there’s plenty of time for him to hear about the darkness in the world. I really don’t believe that parents think about what this negative news can do to a child. We complain about violent video games and inappropriate cartoons because it fills their minds with negative thoughts and dark behaviors, yet we allow them to watch or listen to the news? That doesn’t make sense. Mindfulness is the key to a peaceful society. 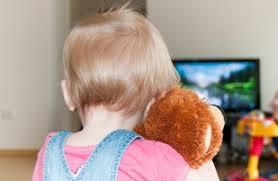 We can start in our homes by being mindful of what our children are hearing and seeing. If you really need to watch or listen to the news (especially when there is a tragic event-and you know we have several), please consider doing that when the children are not in the room. If we truly want a more peaceful society, it needs to start at home. Immerse your children in love and happy thoughts as long as you can because childhood is our foundation and it’s simply too precious to ignore. From a child who was exposed to news that forever changed her life, please hear my plea and become more mindful of what’s happening in front of the children. Children are energetically sensitive. That means they pick up on energy around them before they hear or see. Stop and think about that for a moment and change the energy you allow your children to step into. Let’s face it, the news doesn’t normally leave you with an uplifting or positive feeling. Our kids are already dealing with tons of pressure and negativity, do we really need to expose them to more? Ask yourself if this is beneficial to the children in any way-does it uplift them? If not, consider waiting until the children are not in front of you to immerse yourself in the news if you so choose to expose yourself to that negativity. PS Try NOT tuning in for a week and see how you FEEL. You just might feel more uplifted yourself! My two olders ones witnesses 911… I was watching the news and the phone rang… It was family calling about the attack and I saw it live as I entered the room… My kids are now 15, 13 and 11… But it was real! Now in school it’s in the history books and they still didn’t know that much about it. They didn’t remember it on TV. That was the only thing on for weeks… Yes tragic. But we couldn’t shield them from it… Everyone was talking about it. Atleast it opened up conversation with them. And they had a better understanding of it. We were in NY before and after 911…. To visit family. It’s a reality out there! Yes, it is becoming more and more difficult to shield our children from the violence in the world. However, in my experience-working with children for over 20 years now-as we continue to expose them to violence they either become fearful of the world they live in or desensitized. As for ‘understanding’ these violent acts…do we ever truly ‘understand’ them? Thank you for your comments. I greatly appreciate your thoughts and opinions. Yes I have to agree… Violence begets violence… I’m just saying some things like 911, Boston etc since they happen it opens doors to have conversations with kids to tell them about it. I don’t think kids should play violent video games, watch violent movies, and have constant exposure to such things. But chancing upon it or seeing the consequences of it shows the horror of doing such a thing and how it affects people as a teaching and helps keep kids from being desensitized… My kids hate violence and have a strong moral conscience and huge compassion for people… I know communication has a huge part. Thank you so much for writing this piece. It will give me the confidence to live this out with my children.